Watching the evening sunset over the trees and a glass of wine tonight was a joy. While watching the wood pigeons forage for their final feed of the day pulling at the twigs on branches, we considered the distinct lack of presence these days of the starling. Surely it wasn't that long ago flocks of the starling used to be a regular sight in the evening sky? Walking through the town as the starlings flocked was always a bit of a worry one of them (or several of them) would poop on us. Those days were certainly a little too much like Hitchcock's The Birds for my liking. After a little research I found the number of starlings sighted from the common garden has fallen by almost four-fifths since 1979. Have you've noticed a decline in the numbers of a common garden bird in your area? Btw I've categorised this under animals but as far as I can remember, a bird is a bird is a bird. 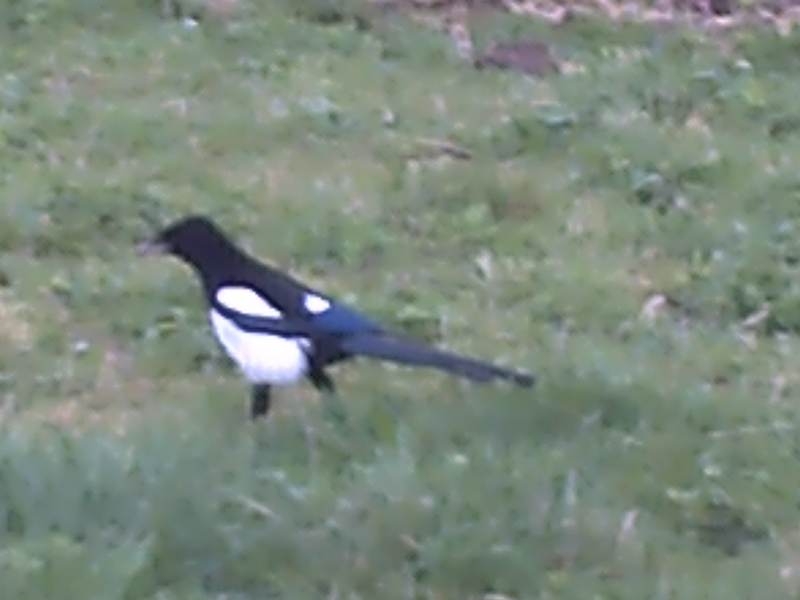 And on another note, I don't have a picture of a starling ('cos there aren't any starlings to photograph) so I took one of a magpie instead as there are trillions of them). I love to watch birds in the morning, but like you I am worried they might soon be extinct when all the trees around will be cut to give way to construction of homes. I can assure you that we have a 'stack' of starlings and they are just as 'naughty' as you describe :) Although our Magpies are much more aggressive ! I think we're noticing the same here in New Zealand too, definitely few visit our garden now. That is so sad. Lots of birds and other wildlife are fighting for their lives. I know that the common woodpecker and of course the eagle here in NC are under protection.